I’ve finally entered the 21st century! The NOOK from Barnes and Noble. It looks so pretty, right? Kinda like a book. Now, I’m not the most technically inclined person, but even I figured this thing out in just a few minutes! Oh yeah! I fought it a long time. I love holding a print book in my hands. The feel of the pages as I turn them. Even the smell. So what prompted me to get one? Yep. In about a week, we’re heading out on a trip across the pond. I couldn’t very well bring, like, ten books with me. No way they’d all fit on my carry-on, you know? So far, I’m lovin’ it. So, do you have one? What are your thoughts on the whole e-reader thing? I’m curious. This entry was posted in Writing and tagged Barnes and Noble, Catch the Rush, e-readers, Lynn Rush, Nook, Paranormal Romance by Lynn Rush. Bookmark the permalink. Awesome! I haven’t made the leap yet. I think I like the feel of the paper in my hands, the way it feels to crease open that first page, and dog-ear the pages, and highlight the passages with my favorite green highlighter. My friend has a Nook and I got to play with it a bit. I love them. I do enjoy the feel of a real book in my hands, but I think ebooks are paving the way for convenience and flexibility. Hehehehe…yep, I have one. Oh, but you know that ;). Awesome, isn’t it?? NOTHING can replace the feel of a “real book” but I love that I can now buy MORE books than before. I get the print ones I would have bought anyway, and I can get free and super-cheap ebooks. I can read authors I may not have invested in before. I’m going to be tempted to spend a little on an ebook rather than go to the library–so I get to “keep” the book and the author gets a royalty he or she would not have if I borrowed the book. 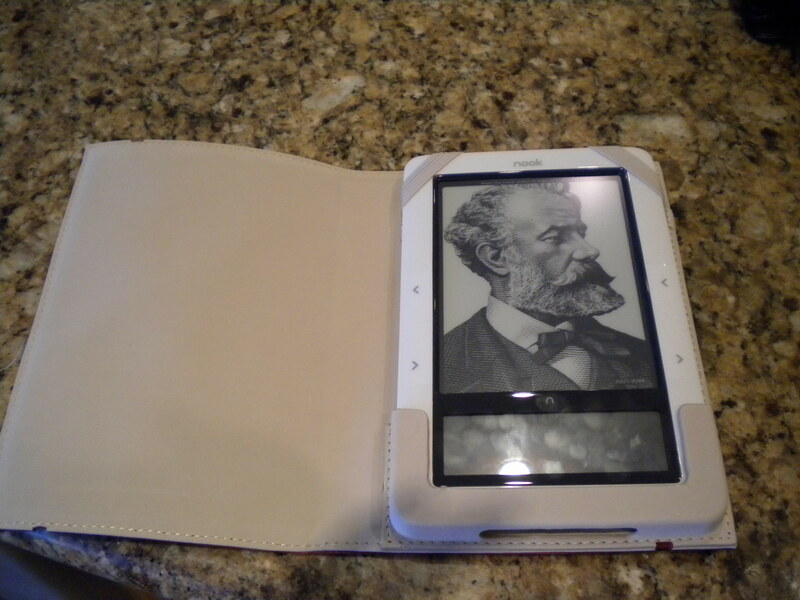 My all-time favorites will still be bought in print, but I love, love, love my Nook!!! Congrats! I, too, have been putting off getting an e-reader. I might wait for the next generation of iPads… ??? Who knows? Ohhh, iPADS!! Yep…that’d be good, too! I do not have one yet, and am very jealous of the cutesy pink cover beauty you have. I am resigned to reading my e-downloads on my starchy old-fashioned home pc. Uck! I hope that I’ll get one for Christmas, I can’t think of a better gift for myself. Enjoy! And have a great trip. Lynn, I love, love, love my Kindle. Did I mention I love it? I’ve already finished…five books on it? Something ridiculous like that. I didn’t get a cover yet, but that’s my next purchase. And to be honest, the reason I got one was because I’m running out of room for books. I’m a book keeper (not to be confused with a bookkeeper). If I like a book, I won’t get rid of it, which means I now have too many books for my shelves. The Kindle will save me space and time (because I really hate waiting for books to be shipped to me). Love the pink. 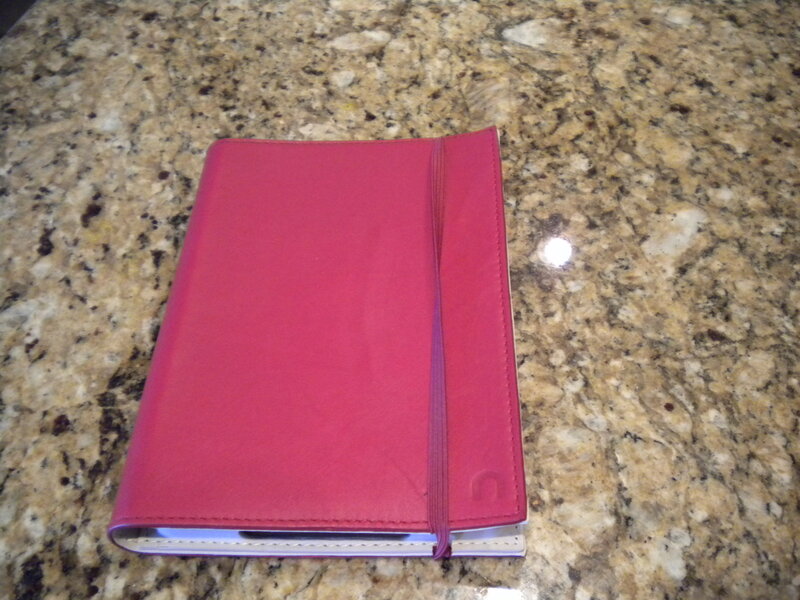 It looks like a journal. Like you, I love the feel, smell, signing my name and date I finished the book, everything about a new book. I guess for traveling the Nook is the way to go. Have a safe trip and HAVE FUN!